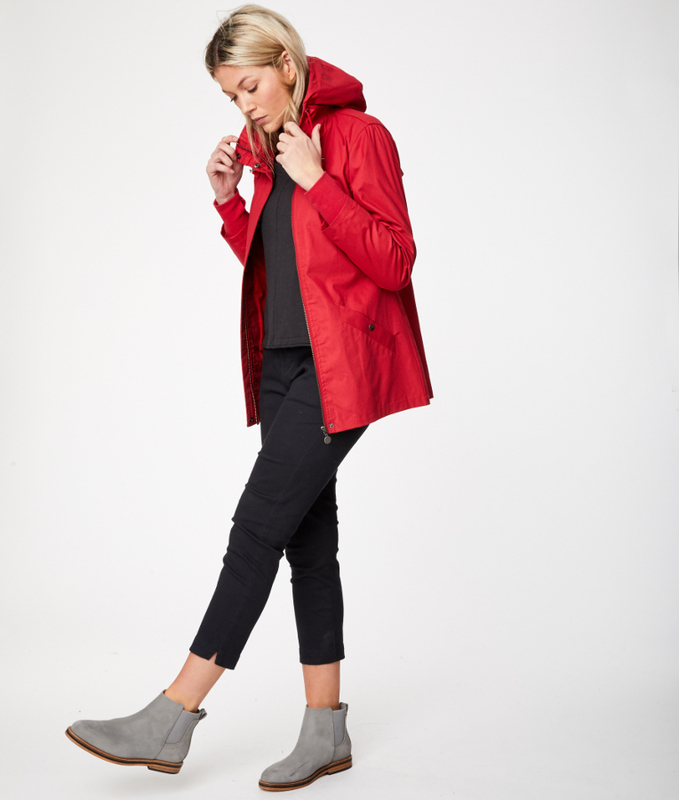 A bold coloured short coat prefect for autumn, sustainably made with certified organic cotton features a waterproof coating to keep you warm and dry this season. 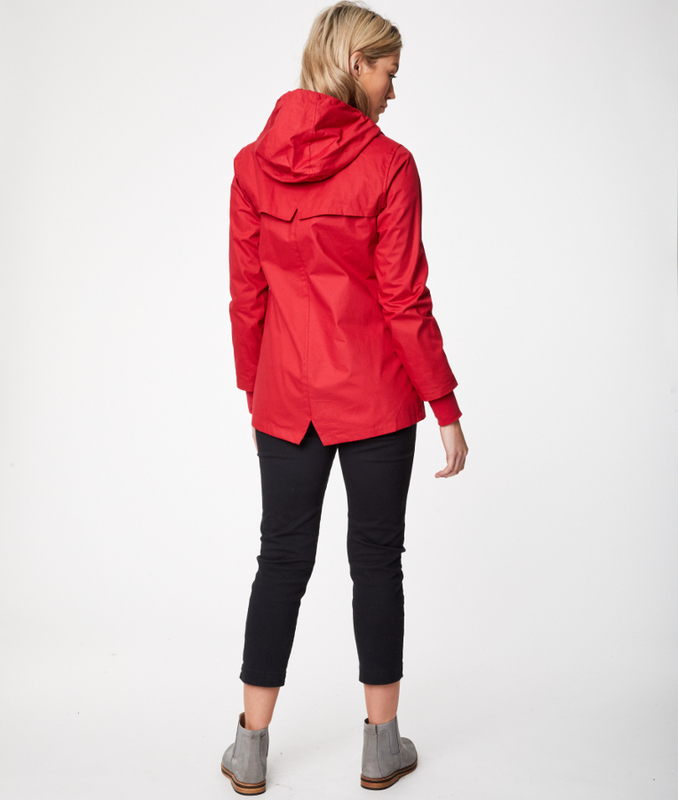 The fabric is Oeko-Tex Standard 100 certified and produced with azo-free dyes as well as being suitable for vegans. 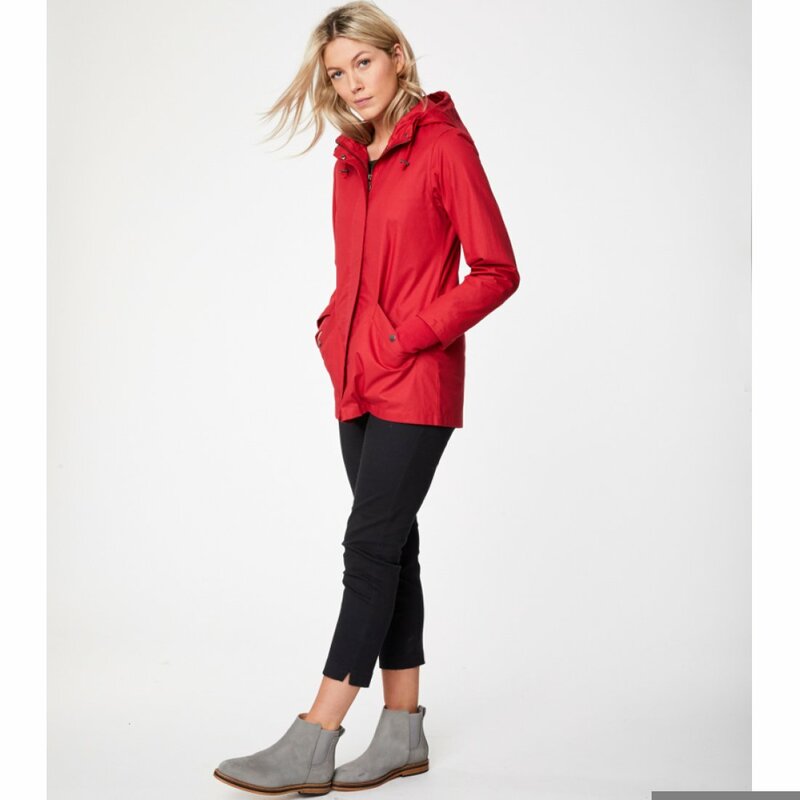 With a detachable hood, inner and outer pockets along with thumb holes, the Illia coat is a practical and stylish addition to your ethical wardrobe. 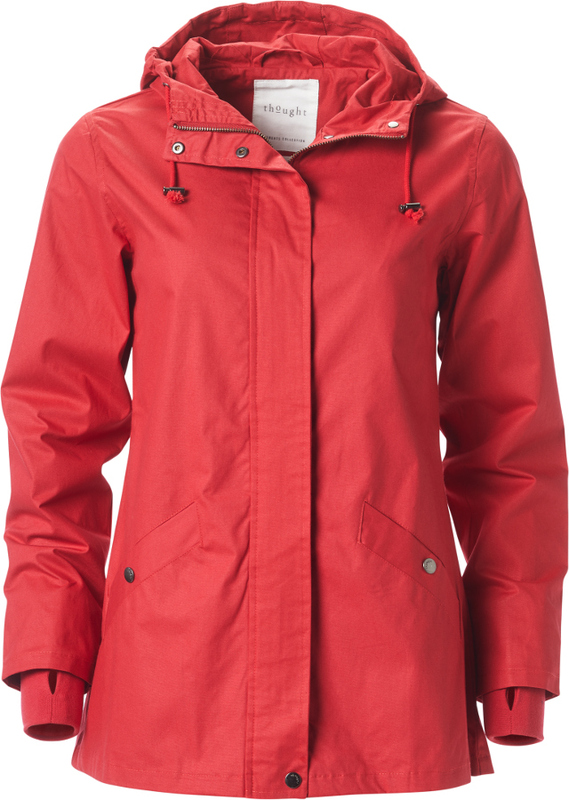 Made from certified organic cotton, the Illia coat is not only beautifully soft against your skin, it is also kind to the environment. The cotton is grown without the use of any harsh chemical pesticides or fertilisers which can be harmful to the soil and surrounding habitats, and the seeds are not genetically modified. Thought work closely with their factories in China to ensure products are made to the highest ethical standards. Today they still work with the first factories they did when the company was founded, and continue to create long term partnerships. Thought has a strict code of conduct policy their suppliers must follow, and ensure the conditions are always being met. 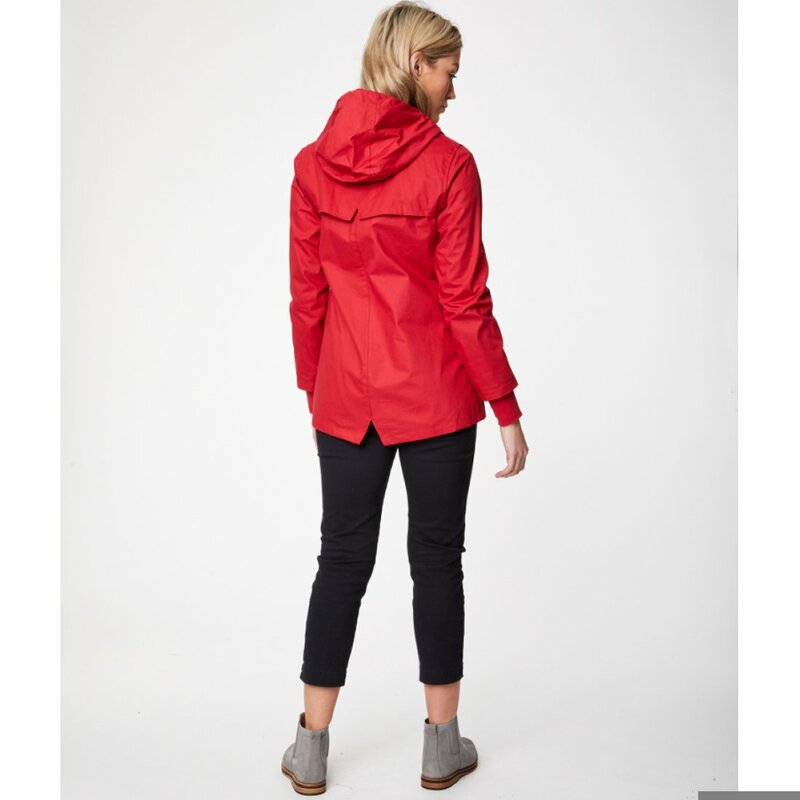 The Thought Soft Red Illia Coat product ethics are indicated below. To learn more about these product ethics and to see related products, follow the links below. 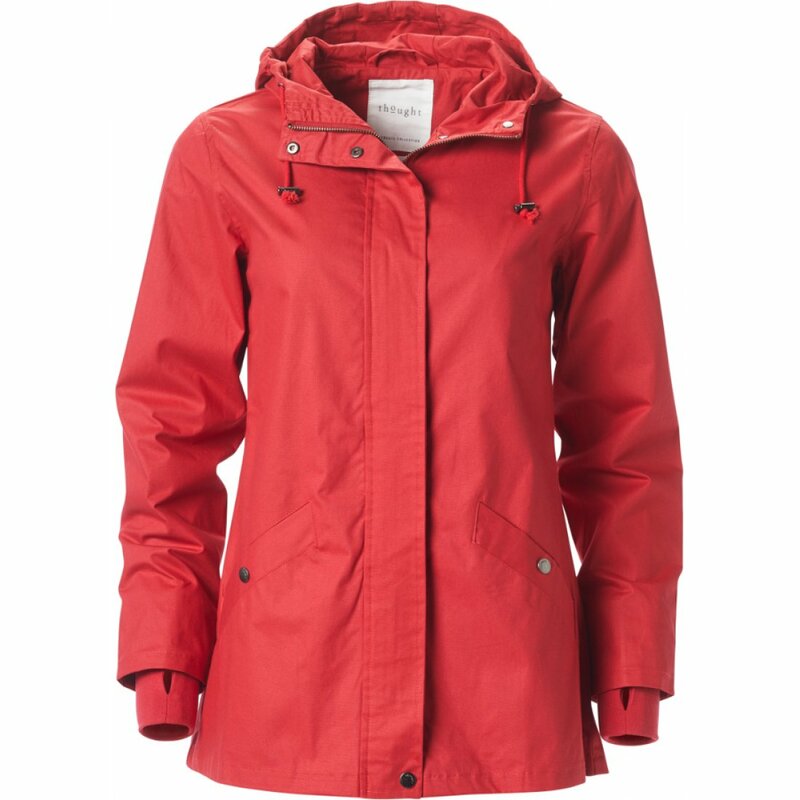 There are currently no questions to display about Thought Soft Red Illia Coat. 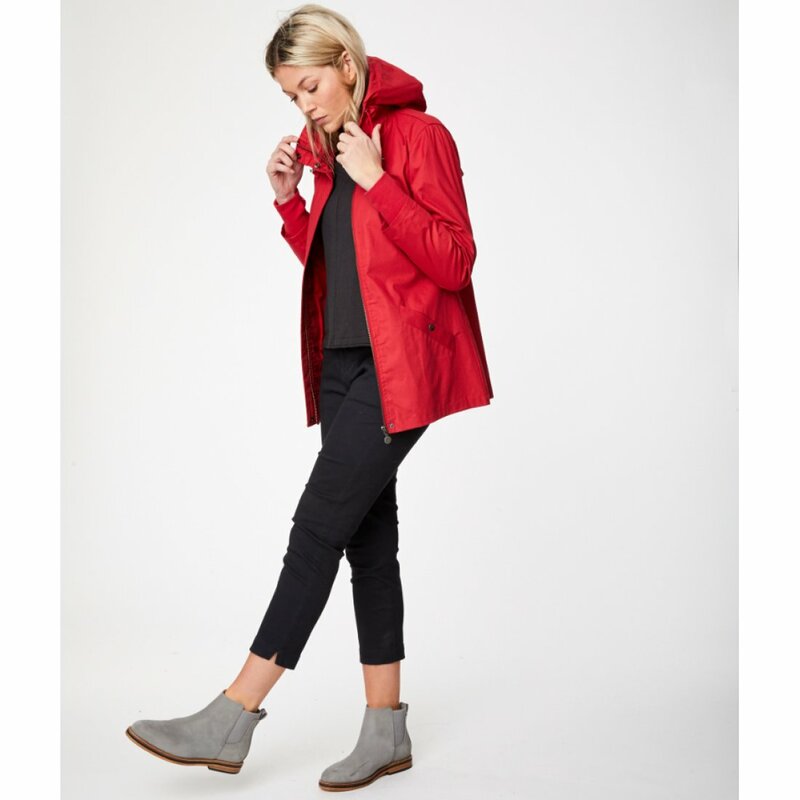 Thought (the new name for Braintree Clothing) was founded in Australia in 1995 with the vision of creating eco-friendly and sustainable clothing. Originally promoting hemp as an environmentally friendly alternative to cotton, Thought has expanded its range of eco fabrics to include organic cotton, bamboo, rayon and Tencel from trees, responsibly sourced wool and recycled polyester. The company takes pride in forging long lasting and strong relationships which is why it works with the same small businesses and factories from when it began and has also signed up to a Code of Conduct approved by the International Labour Organisation and the Universal Declaration of Human Rights, ensuring all employees are treated with respect, dignity and paid a fair wage, while providing healthy working conditions free from discrimination or child labour.